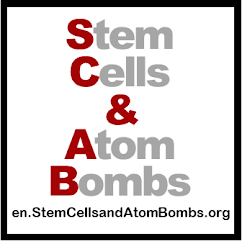 en.StemCellsandAtomBombs.org: Democratize Stem Cells! Democratize the Bomb! Democratize Stem Cells! Democratize the Bomb! There's too much information about stem cells. There is so much information that it's like having no information at all. Then throw in Google ads that let companies sell stem cell therapies, that scientists scream are fake, to us and what you have is utter confusion. Things are so confusing that the International Society for Stem Cell Research (ISSCR) had to publish a pamphlet basically warning stem cell treatment tourists about what they already know, be careful of fake or dangerous stem cell therapies. I'm sorry to say but the International Society for Stem Cell Research has missed the point completely. People who are desperate for treatments for chronic illnesses have no where to turn to for information. How does anyone know if the ISSCR is itself legitimate? I'm not saying that they aren't as they look like a good group of scientists trying hard to keep people informed, but who has ever heard of them? And this is the problem with every stem cell group out there; no one knows how correct their information is. But I'll tell you who people do know, the group that should really be informing people about stem cells, and that's the government. Regardless of the fact that many think government is made up of a bunch of crooks, we can actually change the people in power, you have a vote. You don't have a vote or any control of the ISSCR or any other profit or non-profit group conducting stem cell research. I think we should applaud groups like the ISSCR as they are trying to fill in for the failure of government to do this work. I'm sorry to say that all the warnings and education programmes conducted by similar groups will fall on deaf ears. People are hungry for information but with no one to help make sure they get the best information, people will continue risking their lives and loosing their money trying unproven therapies. Stem cell therapies have the ability to fundamentally alter the society that we now live in, just like the atomic bomb did sixty five years ago. 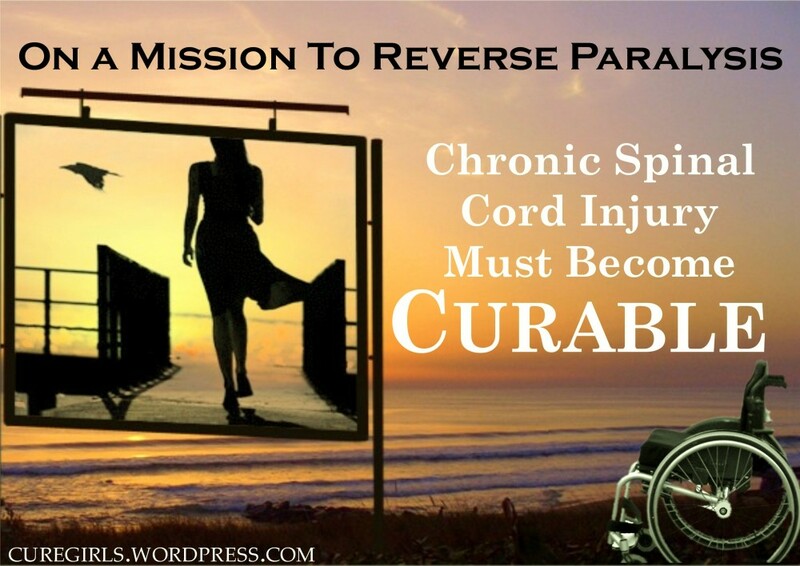 These therapies should not be left in the hands of people that we have no control over. You don't see the government letting private groups run their nuclear weapons programmes. Hell, governments don't even want to allow other governments that don't have the bomb yet from making them, but in the case of stem cells, governments don't even make an effort to prevent their own citizens from risking their physical and financial health. How can you and I get in the stem cell driver's seat? The reason that the last time a nuclear weapon was used in war time was in 1945 is very clearly because you and I are in the driver's seat and do have some control over government and therefore over nuclear arms.Groups of citizens just like you and me, and in many cases scientists too, formed peace groups and not only educated the public but also let governments know that any government-that-used-the-bomb's days were numbered. I'm finally starting to think clearly about where I want this blog to go and the one thing I'm sure of now is that I want to make sure that regular citizens find a way to be a part of (not just footing the bill) stem cells. There are people out there that think the same way and I've already made contact with those people; some in North America, and in Europe, and here in Japan. Over the next few months my goal is to expand who this blog reaches and to start making plans with my new friends throughout the world. PS. I wonder how quickly I can get a file made on me by every secret service agency in the world if I ran a Google ad selling nuclear secrets or parts, or maybe even plutonium. I wonder if Google would even allow me to run such an ad. Maybe that will be a project for the future. PSS. If today's blog sounds a little more disorganized than usual, please forgive me. I think that today I was talking to myself and not to you as I usually do. My apologies.